Green tea is one of the oldest herbal teas known to man. It gained quick prominence in the west after its purported health benefits, the most popular of them- as an effective tool for weight loss. Some of these health benefits have many studies backing them while some do not. Due to the positive spotlight, green tea has enjoyed, some of its side effects are often overlooked. But it’s important to understand that Green Tea also has some limitations and a few of them are highlighted below. Who Must Not Consume Green Tea? 1. 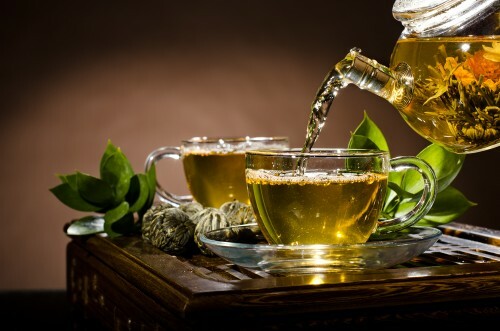 Stomach Problems: The tannins present in the green tea increase the stomach acid which may cause stomach ache, nauseous feeling, or cause constipation. Thus, green tea is not consumed on an empty stomach in Japan and China. It is best to drink green tea after a meal or in-between meals. People with peptic ulcers or acid reflux should not consume green tea excessively. A 1984 study concluded that tea is a potent stimulant of gastric acid, which can be reduced by adding milk and sugar. 2. Iron Deficiency: Green tea seems to reduce the absorption of iron from food. Drinking very high doses can actually be fatal. The fatal dose of caffeine in green tea is estimated to be 10-14 grams (150-200 mg per kilogram). 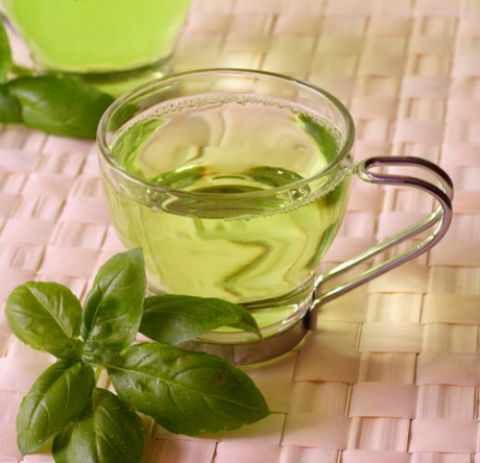 Green tea can also reduce the bioavailability of non-heme iron. A 2001 study reports that green tea extract reduces the absorption of non-heme iron by 25%. Non-heme iron is the primary type of iron in eggs, dairy and plant foods such as beans, so drinking green tea with these foods may lead to reduced iron absorption. However, Vitamin C increases non-heme iron absorption, so you can squeeze lemon into your tea or consume other vitamin-C rich foods, such as broccoli, with your meal. In addition, drinking tea between meals seems to have little effect on iron absorption, according to the National Cancer Institute. 4. Pregnancy and Breast-Feeding: Green tea contains caffeine, catechins and tannic acids. All three substances have been linked to pregnancy risks. If you are pregnant or breast-feeding, green tea in small amounts, about 2 cups per day safe. This amount of green tea provides about 200 mg of caffeine. However, drinking more than 2 cups of green tea per day is unsafe and has been linked to an increased risk of miscarriage and other negative effects. Also, caffeine passes into breast milk and can affect a nursing infant. In addition, drinking a large amount may cause neural tube birth defect in babies. 5. Anaemia: Green tea catechins can cause a decrease in the absorption of iron from food. If you have iron-deficiency like anaemia, the National Cancer Institute recommends consuming tea between meals. If you like to drink green tea with your meal, then studies show you should eat foods that enhance iron absorption. Foods high in iron include meats such as red meat and foods high in Vitamin C, such as lemons. 6. Anxiety Disorders: The caffeine in green tea might is said to make anxiety worse. 7. Bleeding Disorders: Caffeine in green tea might increase the risk of bleeding. 8. Heart Conditions: Caffeine in green tea might cause irregular heartbeat. 9. Diabetes: Caffeine in green tea might affect blood sugar control. If you drink green tea and have diabetes, monitor your blood sugar carefully. 10. Diarrhea and IBS: The caffeine in green tea, especially when taken in large amounts, can worsen diarrhea and symptoms of IBS. 11. Glaucoma: Drinking green tea increases pressure inside the eye. The increase occurs within 30 minutes and lasts for at least 90 minutes. 12. High Blood Pressure: The caffeine in green tea might increase blood pressure in people with high blood pressure. However, this does not seem to occur in people who regularly drink green tea or other products that contain caffeine. 13. Should not be given to Children: The tannins in green tea may block nutrients absorption such as protein and fats in children. It may also lead to over stimulation because of the caffeine present in the green tea. 14. Liver Disease: Green tea extract supplements have been linked to several cases of liver damage. 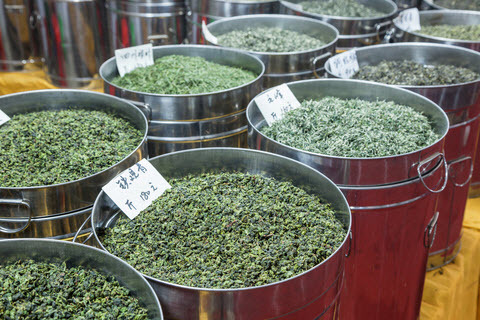 Green tea extracts might make liver disease worse. Severe liver disease, as the level of caffeine in the blood may build up and last longer. 15. Osteoporosis: Drinking green tea can increase the amount of calcium that is flushed out in the urine. Caffeine should be limited to less than 300 mg per day (approximately 2-3 cups of green tea). It is possible to make up for some calcium loss caused by caffeine by taking calcium supplements. Green tea must not be taken along with these medications as it is known to cause negative reactions. 1. Highly Interactive: Stimulant drugs like Amphetamines, Nicotine, Cocaine and Ephedrine. 2. Moderately Interactive: Adenosine, Quinolone antibiotics, Birth control pills, Cimetidine (Tagamet), Clozapine (Clozaril), Dipyridamole (Persantine), Disulfiram (Antabuse), Estrogens pills, Fluvoxamine (Luvox), Lithium, Medications for depression (MAOIs), Hepatotoxic drugs, Medications that slow blood clotting (Anticoagulant / Antiplatelet drugs), Pentobarbital (Nembutal), Phenylpropanolamin, Riluzole (Rilutek),Theophylline, Verapamil and Warfarin. 3. Slightly Interactive: Alcohol, Fluconazole, Anti-diabetes drugs, Mexiletine (Mexitil) and Terbinafine. For a more detailed description, read the article here. .Headache: Tea providing up to 250 mg of caffeine per day, or approximately 3 cups of tea per day. .Improved thinking: Tea providing 60 mg of caffeine, or approximately one cup. .Reducing cholesterol: Drinking 10 or more cups per day has been associated with decreased cholesterol levels. Theaflavin-enriched green tea extract, 375 mg daily for 12 weeks, has also been used for lowering cholesterol. .Preventing Parkinson’s disease: Men consuming 421-2716 mg total caffeine (approximately 5-33 cups of green tea) daily have the lowest risk of developing Parkinson’s disease. However, a significantly lower risk is also associated with consumption of as little as 124-208 mg of caffeine (approximately 1-3 cups of green tea) daily. In women, more moderate caffeine consumption seems to be best, equivalent to approximately 1-4 cups of green tea per day. .Human papillomavirus (HPV) infections of the cervix: Green tea ointment alone or in combination with oral green tea extract, twice weekly for 8-12 weeks. .Genital warts: a specific green tea extract ointment (Veregen, Bradley Pharmaceuticals) providing 15% kunecatechins applied three times daily to external warts for up to 16 weeks has been used. You don’t have to quit drinking your favourite cuppa green tea, but if you have any of the above mentioned medical conditions or taking prescription drugs, exercise caution and consult your doctor about how many cups you can have per day. Moderation is key to enjoy the full benefits of green tea.